Montage’s new report, State of AI in Talent Acquisition—which features data from two recent Montage surveys involving over 1,000 candidate and recruiter responses—finds that candidates are looking for a quick and easy way to apply to your company. Whether it’s through a mobile technology or by using third-party apps, one thing is clear: Paper applications are definitely not the way to win over candidates. According to the findings, 41% of candidates ranked “fast application process” as the most important aspect of the job search to them, which should come as no surprise, as it’s been proven that a faster application process leads to a better candidate experience. Montage also finds that more candidates are becoming open to the idea of doing video interviews, and this applies to candidates of every age, not just tech-savvy Millennials. According to the Montage report, almost 75% of all candidates aged 18 to 38 and 53 to 72 are comfortable with the idea of doing a video interview, while only roughly 60% of candidates aged 39 to 53 say they are comfortable with doing video interviews. Montage suggests that recruiters should let the comfort level of their candidates dictate what technologies to use and at what point in the recruiting cycle to adopt them. Talent acquisition leaders should be aware of the tendency AI has to be more data-driven, and there should be constant analysis of how candidates are interacting with the tools throughout the recruiting process. Montage says that candidates still desire a human element in the process, and recruiters and hiring managers should make every effort to be transparent when AI is, indeed, being used. Unconscious bias remains an issue in the hiring process, according to 44% of candidates in Montage’s report, and of those who’ve experienced discrimination, more than three-quarters are nonwhite. Could AI solve your bias problems? According to well over half of candidates and recruiters surveyed who feel AI will be able to drive down bias in the hiring process, for candidates who’ve experienced discrimination firsthand, 56% feel that AI may be less biased than human recruiters. Also, 49% of all respondents who have experienced discrimination also believe AI may improve their chances of getting hired. 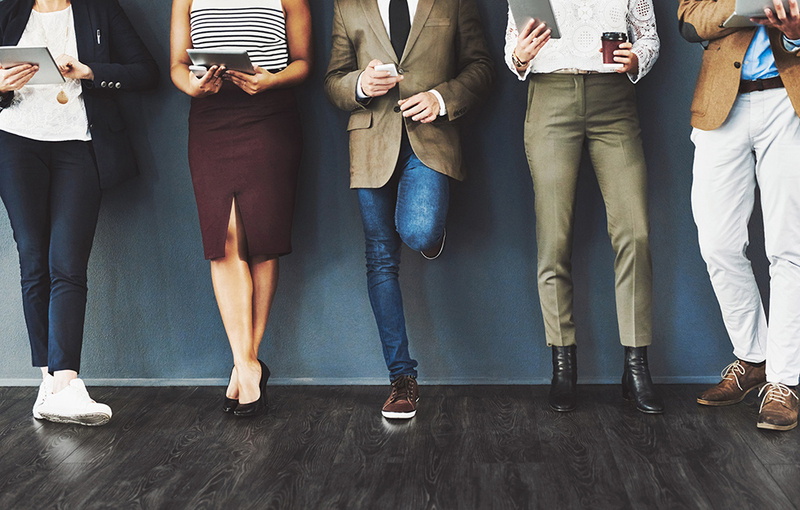 Nearly half of the talent acquisition professionals surveyed feel like there is an increased pressure to hire diverse talent through better hiring practices, and for many, AI may be the key to implementing such practices. Montage reports that technology solutions exist for each of these issues, but it is critical that an organization choose the right partner and technology in order to be fully compliant. Montage also suggests that companies that are already using AI in the hiring process look into their existing algorithms to make sure they are helping to reduce bias, not introduce it. According to Montage, things like AI facial recognition technology, which is unable to read the faces of those with dark skin, show it’s possible this technology can lead to more discrimination, not less. When in doubt, it’s best to train your recruiters and talent acquisition professionals on how to spot and eliminate bias in the hiring process, no matter if you use AI or not. Montage also suggests partnering with diversity and inclusion experts to help deliver the most accurate training possible. According to Montage, AI is still far from perfect, and because of this, it shouldn’t be relied on to make decisions that can directly affect a person’s career or expose him or her to discrimination and bias. By training staff on how to spot and avoid unconscious bias, you’ll be able to recruit top talent in no time, no matter which technique you use. To learn more about State of AI in Talent Acquisition, click here.